The Alberta Sport Development Centre – Central is pleased to announce that the ASDC-Central Female Athlete of the Month for March 2018 is Ruby Butler. 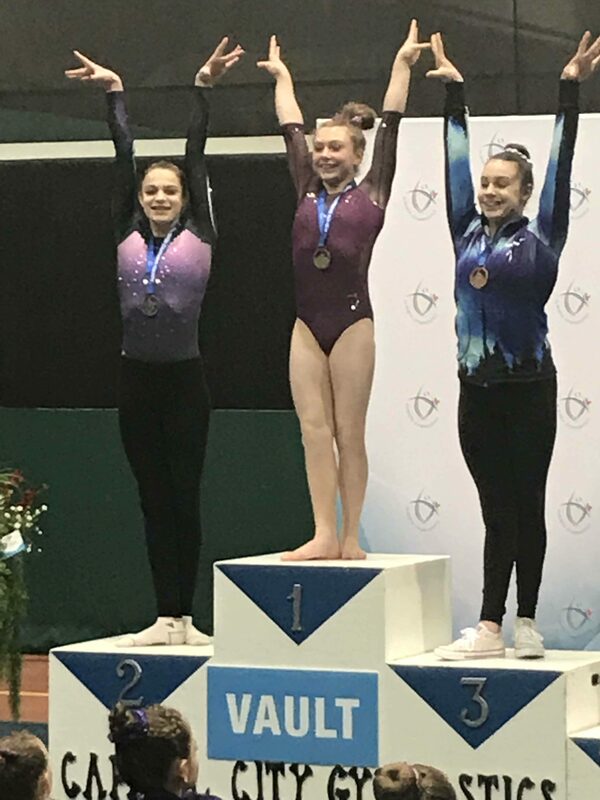 Ruby Butler is a 15 year old, grade 10 student at Notre Dame High School, Red Deer resident and a competitive Artistic Gymnast at Exelta Gymnastics for the past ten years. Ruby began gymnastics when she was 14 months old, and loved somersaulting, climbing and trampolining. She began competitive gymnastics when she was 4 years old and is still excited every day to go the gym. Ruby maintains Honors academic status at school while training over 22 hours per week at Exelta as well as coaching in the Exelta recreation program every week. Ruby excels at the Vault event of competitive Artistic Gymnastics and this has seen her on the podium for Vault in almost every competition she has entered this season. Now in her 3rd year with ASDC-C, Ruby and her coach, Barb Bilsborrow, both agree that ASDC has helped Ruby with the mental side of her sport and has allowed her overcome some of her specific fears on the balance beam and allows her to focus on the positive. With Ruby’s strong work ethic, her undeniable athletic abilities and her training experiences with ASDC-Central she will surely continue to grow, develop and succeed in her Artistic Gymnastics career!